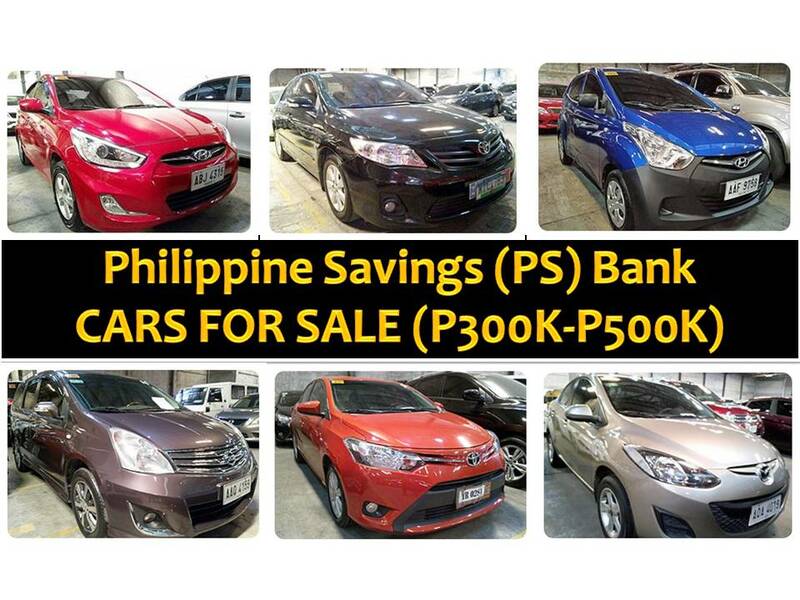 The following are pre-owned or foreclosed cars that are being sold by the Philippine Savings (PS) Bank. The cars are for sale with a price ranges from P300,000 to P500,000. Contact numbers and information are provided below for inquiries. Please be reminded that we are not affiliated with PS Bank and the details provided below are taken on their website for general information and advertisement purpose only. Visit PSBank Pre-Owned Auto Mart, any PSBank branch near you, or contact PSBank Customer Experience at (632) 885-8208 or chat through PSBank LiveChat, para lahat ng tanong mo may sagot ora mismo.